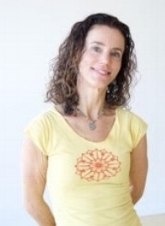 Julia is a certified YOGA teacher and has taught in the Fairfield County area for over 14 years. She is honored to have trained with Shri Yogi Hari of the Sivananda lineage. She has studied with Dharma Mittra, Seane Corn, and other mindful teachers in NYC, Kripalu, and locally. Julia's yoga classes include a balanced mix of mindfulness, breathing exercises, asanas, and relaxation. She works to offer a challenging and nurturing experience while maintaining a sense of ease and humor throughout class. Julia is also trained to teach prenatal yoga and yoga for scoliosis and sciatica as well as to teach Zumba®, and the Body Method (a barre fitness class). Julia's background is rich in dance, having studied ballet, modern, and jazz dance for most of her childhood and college years. In addition to yoga and fitness classes, Julia is a certified Holistic Health Coach through the Institute for Integrative Nutrition, and a Beach Body Coach. She works with her clients to create better health and balance through diet, exercise, spirituality, relationships, and career. Julia works with clients one-on-one, in group, in online groups, and in corporate settings. She holds a B.A. from Hofstra University. Jacquie’s vision of making yoga accessible to everyone is inspired by her own direct experience of yoga, its impact on her own life and growth process combined with her understanding, since her youth, of the inherent importance of community and helping each other live into our own full potential. Jacquie has been a certified hatha yoga teacher for nearly 20 years. Her certification is through Integrative Yoga Therapy. She has studied with respected teachers in various styles of hatha yoga. Through Jacquie’s study of human services, dance and yoga she has worked with children, teens, adults and the elderly from various walks of life. Her experience includes a decade of upper level management in a for-profit human services company. Jacquie has a degree in Human Services with a focus in Gerontology from The Center for the Study of Aging, University of Bridgeport. Erica is a 200 hour certified Kripalu yoga teacher, working towards completion of a 300 hours certification from Prankriya School of Yoga and healing Arts. Erica is also certified in yoga for pregnancy and yoga for MS, she has additional training and interest pranayama. Erica took her first yoga class while completing her B.A. in Humanities, and found yoga to be a wonderful antidote to academic stresses. The compassionate andnon-judgmental roots of Kripalu yoga are a foundational part of Erica’s classes, with exploration of energy awareness and breath work. The healing benefits and the integrative wholeness of yoga practices continue to inspire Erica to grow in her personal practice as well as aspire to share that passion through teaching yoga classes and workshops. Julie is a teacher of Qigong, sound healing and meditative movement. Her passion is to share the powerful and transformative practices of Qigong with people of all ages and show them how to create new pathways of internal and external health. It brings her great joy to help others learn ways to take their health into their own hands. Nurturing ourselves through Qigong, we surrender to the preciousness of the present and our own presence. She teaches simple but powerful ways for people to improve their health by lessening anxiety, stress, sadness and learning to let go of daily frustrations. Julie holds certifications from the Institute of Integral Qigong and Tai Chi, Radiant Lotus Women’s Qigong and Organ Cleansing Qigong. She has studied with many international teachers including Daisy Lee, Francesco Garri Garripoli, Roger Jahnke, Master Kenneth Cohen, Robert Peng, Dr. Yang Yang, Master Sat Cheun Hon, Solala Towler and teachers from the Chinese Health Qigong Association. Julie also has a MA in Art History, Archives & Museum Studies. She is a mother of twin 13-year old daughters and lives wth her husband Dan in Fairfield, CT.
Ariadne is a 500 hour-certified Kripalu yoga teacher and has been teaching yoga since 2003. 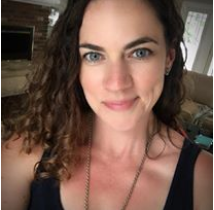 She is also a licensed massage therapist, occupational therapist, and is certified in Kripalu Yoga in the Schools, and Pre/Postnatal Yoga and Massage Therapy. Ariadne weaves yoga postures, breathwork, and meditation into her classes as a means of cultivating presence and nonjudgmental self-awareness. Her classes remind us to ride the waves of our life with compassion, and to allow life to flow through us with ease and grace. Ariadne believes the practice of yoga awakens the natural intelligence of the body-mind-heart-spirit; thereby guiding us towards a more awakened and compassionate engagement with life. Karissa specializes in one-on-one personal and small group training. Karissa’s passion is to help clients achieve a balanced lifestyle that encompasses all dimensions of health & wellness. Trainings are tailored to the ability and goals of the clients with an emphasis on balance, core, overall strength, and improving flexibility. Karissa believes fitness is to be enjoyed. She strives to create an environment that not only motivates, but empowers her clients to continually challenge themselves in a fun, safe, and rewarding way no matter their age. Pilates is a system of exercises developed by Joseph Pilates to stretch, strengthen and align the body while helping to relieve excessive pressure and stress on the joints. It combines an engaging blend of stability and strengthening exercises framed through mindful movement, breath, and concentration. Working in conjunction, these three attributes help create a strong foundation for all manner of athletic and non-athletic pursuits. Cindy’s interest in the mind-body connection began in her 20’s with the practice of yoga in her home state of Florida. Upon moving to NYC in the mid 90’s, she developed a strong desire to learn more about human anatomy, movement, and bodywork. This led her to The Swedish Institute and a certification in massage therapy. She began studying different styles of yoga around NYC, ultimately obtaining a 200-hr certification with Paul Dallaghan at Centered Yoga, now known as Samahita Retreat in Thailand. In 2007 while living in England, old injuries and complications from surgeries drew her to the revelatory discovery of pilates. Her love for pilates and movement eventually led her to train with Fran Hoyt in Westport where she received pilates certification through The Kane School of Core Integration. Cindy holds a BA in History from the University of Florida. Lisa an MA, RYT-200 is a certified yoga instructor, is registered with Yoga Alliance. She holds specialized certifications in yoga nidra, restorative yoga, yin yoga, children/teen yoga and .b Mindfulness in Schools. 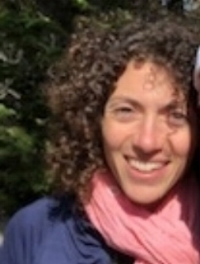 She is a registered Mindfulness Based Stress Reduction (MBSR) instructor at UMASS Medical School Center for Mindfulness. Several of her guided meditations & yoga can be found on the Insight Timer App. For more information visit Relax Into Meditation. Erin is an AFAA-certified fitness instructor, in addition to a licensed PiYo, Insanity, and Turbo Kick instructor. She started teaching fitness classes in 2010 as a hobby, and after becoming a mom, decided to leave her high school teaching career to stay home with her son, Ben, and pursue a career in fitness. Erin combines her love of teaching, writing, and meditation in a unique class, “You, Into Words”, which is offered periodically throughout the year. Erin holds a Bachelor of Arts degree in English and a Master of Arts degree in Educational Leadership from Villanova University. She is also a certified life-coach focusing on creating happiness and peace in her clients lives. Sheryl meets students exactly where they are, offering accessible asana poses, pranayama breath work and guided restorative meditation in her Hatha and Bhakti “love” influenced yoga practice. Encouraging students to set an intention “Sankalpa”, to peel away notions of what is expected, to notice stress triggers: what and where we hold in the body, to observe and find joy in what is through honoring the present moment. She is an artist and creative script writer and has trained and taught in the field of healing arts for over 20 year and is both trauma and special needs certified. A Reiki master, therapeutic meditation guide, essential oils expert and AromaTouch® practitioner. She is the founder of “Yoginilini” peace and wellness practices, is a certified holistic mentor, privately coaching those who seek to make a powerful and enlivening shift in their lives. Sheryl has studied group communication and family therapy, completed her yoga teacher training at Lotus Gardens in 2013, completed advanced Divine Sleep Yoga Nidra® training, Stretch What Matters® training for special needs, Kripalu TCTSY® training for trauma sensitivity, and completed PESI Animal Integration into Therapies training. Most recently she is developing a yoga and meditation series for chronic pain based upon her personal journey healing from traumatic injury, and is training her dog Gabriel for therapy work. She attributes daily meditation to cultivating Maitri, unconditional friendship with oneself, and to reopening the pathway of playfulness, acceptance and creativity in her life. All of which is passed on through yoga!